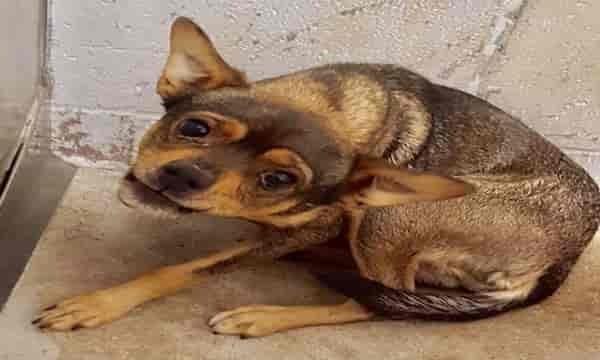 Home › Uncategories › Little JOEY looks like he's saying; "Please don't leave me alone"
Little JOEY looks like he's saying; "Please don't leave me alone"
This little guy was brought in a cage with 2 others, poor little guy! Sometimes in life we have no choices, sometimes it seems the world is against us, but JOEY should not be the victim of his circumstance. He is just one of those pups full of life, full of love, full of hope. But without a foster or adopter, his life will be no more. Joey is a 3 year old male Chi who's going to need someone patient to build up some trust. 0 Response to "Little JOEY looks like he's saying; "Please don't leave me alone""